TePe Gingival Gel contains both chlorhexidine (0.2% CHX) and fluoride (0.32% NaF). Chlorhexidine is effective against plaque and gum inflammation (gingivitis), while fluoride prevents cavities (caries) and protects sensitive root surfaces. The interdental spaces are risk areas for development of gum disease and cavities. It is easy and efficient to apply TePe Gingival Gel directly to the affected areas with an interdental brush. 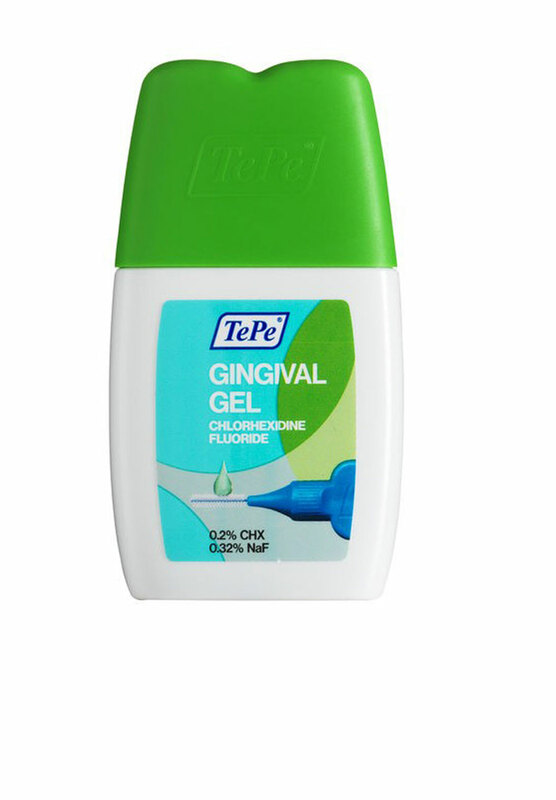 TePe Gingival Gel is developed in collaboration with dental expertise, carefully evaluated to offer maximum effect at minimum risk. It contains no abrasives and no alcohol and has a fresh mint flavour. When is TePe Gingival Gel recommended?